With a passion for helping others and a modern approach to sharing the oils, Sarah Harnisch made it to Diamond in Young Living in just 2 1/2 years. 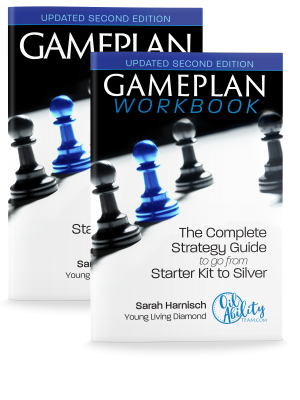 Now she’s sharing her strategy in this newly updated, second edition, guide to take you (and your team members!) 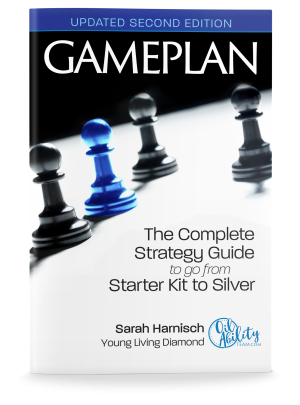 from starter kit to Silver in Young Living. 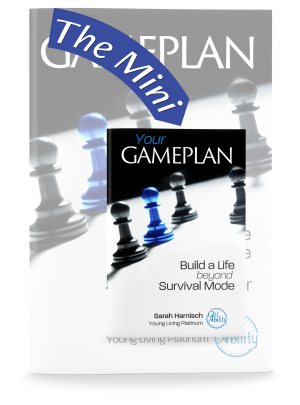 Single copies of Gameplan can be purchased on Amazon here. Over 70 pages of new content! 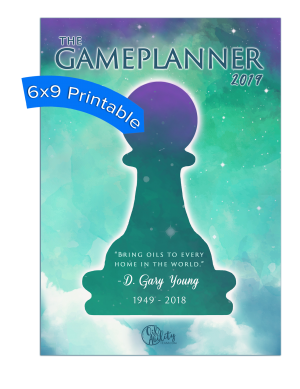 A full explanation of the Rising Star bonus and the new Elite Express with strategies to help you make the most of Young Living’s amazing compensation plan! Exact wording for conversations that lead to kit sales and people coming to your classes! 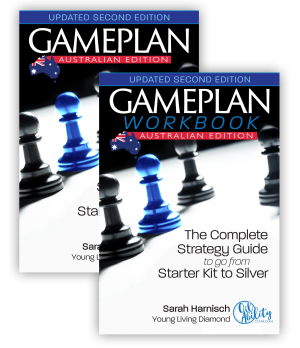 Deeper, diamond-level insight into placement and team structure. Updated section on sharing through social media and how to rock Facebook Live for sharing and team training. 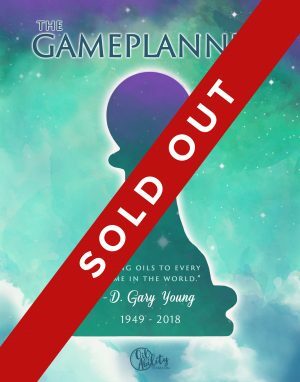 The famous purple bag: how to build and use the most powerful sharing tool in the Gameplan system! The art of the relationship, and how to lead people to a lifestyle of oiling. The secret to building with vendor events. 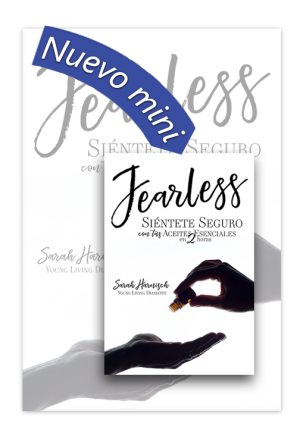 A brand new 101 script, updated and revised with the new Premium Starter kit oils and new language for purity, as well as the latest stats on Young Living as a company. Plus an index to help you keep all this awesome right at your fingertips! 336 pages. black and white photos, scripts and worksheets in the appendixes. 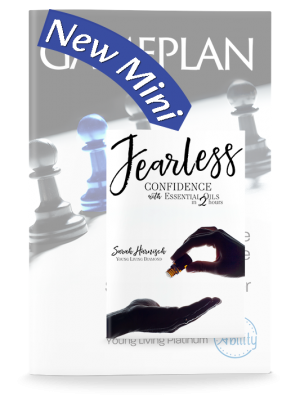 with confidence, and equip your team to grow!